Corey McGuire started his journey with fitness at an early age, with athletics such as football, baseball, and wrestling. At the age of 14, Corey was introduced to weight/strength training. With a new found love for strength training, Corey’s focus became football. After an unfortunate football injury however, Corey began to look for different athletic outlets. He then spent the next 5 years training in boxing and Jiu Jitsu. 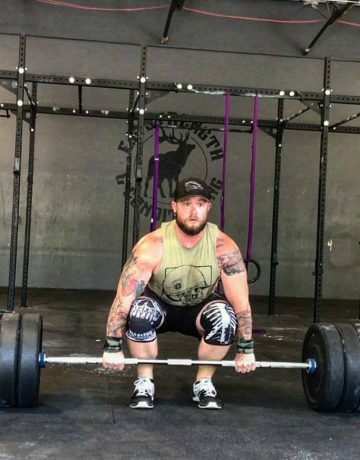 With all of his athletic background, Corey then decided he wanted to share his love of fitness and began to educate himself to become the strength and conditioning coach he is today. Corey is now the owner and head coach of Elk Grove Strength and Conditioning. He has become a National level USAW weight lifting coach, has won and been recognized as “Best Trainer” by the Best of Elk Grove for the last 6 years. Corey is continuing his pursuit to be the best coach he can be by pursuing and furthering his education in nutrition. Coach Corey is also pursuing his tactical strength and conditioning facilitator certification. TSAC-F apply scientific knowledge to physically train military, fire and rescue, law enforcement, protective services, and other emergency personnel to improve performance, promote wellness, and decrease injury risk.